How would you rate your experience with NerdWallet ? NerdWallet, founded in 2009, was the first website to offer comparative information about bank credit card rates. The company operates a personal finance website which helps clients make financial decisions while comparing rates and other financial products from various banks. Founder of Nerd Wallet is Tim Chen, who built his company using only $800 from his savings account after finding out that he was being laid off on Christmas day. The company’s goal is to provide information that educates consumers in making financial decisions. Its website is directed towards millennials and the comparison tools provide information on numerous financial products, including credit card selection, college loans, banking, mortgage loans, stock trading, health care, shopping, and insurance policies. NerdWallet, along with other advertisers, pulled their campaigns from Fox News programs, such as Jeanine Pirro, after derogatory statements were made regarding homosexuals and Muslims. 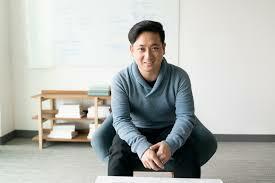 Today, NerdWallet had annual revenue of $100 million in 2016 and is estimated to be worth $500 million. In 2010, CNNMoney listed the NerdWallet as one of the Top 20 Best Money Sites. Headquarters for the company are located in San Francisco, California. Question 1: What is the phone number for NerdWallet? Answer 1: The phone number for NerdWallet is (415) 546-1100. Question 2: Who is the CEO of NerdWallet? Answer 2: The CEO of NerdWallet is Tim Chen. Question 3: Who founded NerdWallet? Answer 3: NerdWallet was founded by Tim Chen & Jacob Gibson in 2009. Our household will never use your products as your company supports stifling free speech. Not only that, we are starting a grass-roots campaign to let our friends, family and our consumers know about your corporation pulling ads for Judge Jeanine. Business decisions have consequences and you may be surprised at the ramifications of yours. More people find your actions offensive than the question posed by the judge! You pulled your advertising because a great reporter, asks the question about a newly sworn inexperienced and un-American congress person, who wants to bring Sharia Law to America? You’ve got GALL!! I will under NO CIRCUMSTANCE, ever use your CHEESY CREDIE CARDS, EVER. Why don’t you pedal your un-American products in a FOREIGN COUNTRY. SCREW YOU, SECULAR FILTH. DON’T EVER COMPLAIN ABOUT JUSTICE ON FOX …. WE ARE INVESTIGATING YOUR TIES TO THE RUSSIAN MAFIA ONOPCHENKO !!! PASS IT ON SHE NEEDS TO READ THIS …. HEY SCUMBAGS AT NERD WALLETT !!! YOU WANT TO COMPLAIN ABOUT THE SHOW JUSTICE ON FOX … YOU WANT TO PROTECT ILHAN OMAR ??? WHILE SHE MAKES ACCUSATIONS AGAINST OUR PRESIDENT CALLING HIM “UN HUMAN” … YOU ARE ANTI-AMERICAN CHEN .. AND YOUR COMPANY IS GOING TO PAY … YOU ARE GOING TO PAY … YOU ARE REALLY GOING TO PAY !! I understand that you have decided not to advertise on Tucker Carlson’s show because you favor having our country overrun by illegal aliens. Will you have anything to say to the next parents whose child is butchered by an illegal? Want to make sure NerdWallet sees your comment or complaint?